InstacartInstacart’s network crashed late Sunday. Instacart‘s network crashed late Sunday, leaving customers waiting hours for food deliveries that never arrived. Some customers said they were unable to cancel orders that were automatically rescheduled to the middle of the night or the following day. The network issue has since been resolved, and impacted customers can now cancel or reschedule their orders, according to someone with knowledge of the company’s outage. Dozens of Instacart customers are furious after a network outage left them waiting all night for food deliveries that never arrived. Dozens of people took to social media to complain that the company never directly notified customers of the outage. Several said they were unable to reach Instacart’s customer service when their orders failed to arrive. Some said their orders were automatically rescheduled to the middle of the night or the next day. 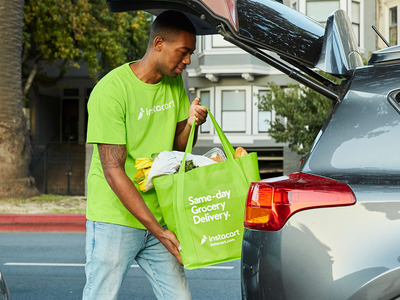 On Monday morning, some customers said they still hadn’t heard anything from Instacart about the outage or what would happen to their missing deliveries. The outage also impacted Instacart employees who fill and deliver shoppers’ orders. I ordered @Instacart today to be delivered in two hours. They never showed up, didn’t notify me or anything. I login to check status and they postponed it to tomorrow from 9-11 am when I’ll be at work. I’m furious. No response back to my complaint. @Instacart you should change your name to nevercart. I waited close to 6 hours for my order before canceling it. ???? The worst service ever. What’s the status of your service now? Is it safe to order again? Majorly disappointed by the lack of communication over this. Understand things go wrong but customer service should have handled things better. Any word on what will happen w/ orders from @Instacart last night? Will they be delivered? Should I reach out to someone else for fulfillment? Then this morning I get an alert Instacart has charged me for the order that never came. Just how I called it . After 3hr of waiting for Instacart system to be back up. The order was cancelled and we got nothing . Well done Instacart . We see how much your care about your shoppers . @instacart I am a shopper and was stuck at the grocery store from 6pm to 8:30pm last night. Due to the outage, I was never able to checkout and deliver a very difficult and substitution heavy order to my customer. I want to be compensated for my time and the inconvenience. @Wegmans @Instacart 1 of 2. NEVER AGAIN. I am so frustrated over my experience yesterday and the lack of support given to fix the issue. The initial delivery was 830-9 which was changed to 1130pm (what??????) after i finally went to bed at 11pm. As shopper, the app was down for us too. There was no way to view the order, cancel or even if the transaction competed there was no way to move to the next step to deliver the groceries as we are not given the address until after checkout a few steps later. We were SOL too. I never received an order and ended up shopping myself. Now 4 HOURS LATER someone is shopping it and I had no way to cancel! Not good. Tried to use @Instacart to have my food delivered when I got back home from my vacation. 8-9 delivery time and no food or updates. What the hell?? I should never have tried something other than @amazonprimenow. @apoorva_mehta your site was down today. My order never showed up & I couldn't cancel so I emailed 2x & was told my order wasn't in progress (3 hrs later). Now, I'm putting my kid to bed & get a text that my order is being shopped. WTH? Won't recommend @Instacart ever. I understand that y’all are having difficulties however how this is handled is horrible. My status is that the shopping is complete. I cannot cancel my order and I have been trying to attempt to contact customer service. Which I’ve been on hold for 55 minutes now! !